Our firm is capable to render Patents Services. Our provided service is extremely demanded amid our clientele due to their economical prices, high reliability and flexibility. We render this service in a highly efficient way and ensure complete satisfaction to the customers. Moreover, we provide this service at nominal prices. we are engaged in Best Patent Licensing services. Origiin IP Solutions LLP, with a group of experienced patent agents and attorneys from various areas of technology domain provide patent licensing support services such as evidence of use search, identifying potential buyers and due diligence support services. In last few years we have developed several (over 45) technologies those can be commercialized. We have products, process material technologies. If we already have the technology you seek, its licensing or IP transfer can be done. We provide patent selling services. Our patent brokers unlike others are patent agents and patent attorneys having wide knowledge in patent monetization services. SIP provides a bundle of services in regard to litigation, licensing and mergers and acquisitions (M&A) back-end support to their clients. Synoptic Intellectual Patents (P) Ltd.
Patent is the act by which a inventor has the right of exploiting its object during the stipulated period of time. Some requirement must be fulfilled for a patent right to be granted such as industrial applicability, novelty and inventive act. We have patent attorneys and experts who handles all legal matters relating to patents like licensing, patent application and drafting specifications. Claim Charts help in determining and measuring the scope of infringement. These charts are analysed by Attorneys to prove infringement. Claim charts provide a textual and graphical comparison between the claims of a patent and a product, thereby indicating the extent of overlap between the two. 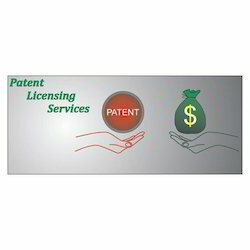 Brain League's patent licensing services include license negotiation and drafting. We have a team of licensing experts, who work with a client in order to negotiate a license deal and to draft the license agreement. We also help clients in understanding and making decisions with respect to patent pools and open source licenses. The first and foremost purpose of a patent is to generate revenue. Using patent for own market advantage is one option and another is patent licensing. Our patent licensing team is qualified and well trained to provide unmatchable support documents for patent licensing. At Meta Yage IP Strategy Consulting, we not only assist the patent owners in finding potential licensees, but also assist them with negotiating licensing deals. What’s more we also help connect inventors with entrepreneurs and investors to commercialize and monetize their inventions.